The Deise Greenway, recently renamed the Waterford Greenway, has seen its first tarmac surface laid, on the Bilberry to Carriganore (WIT campus) section. 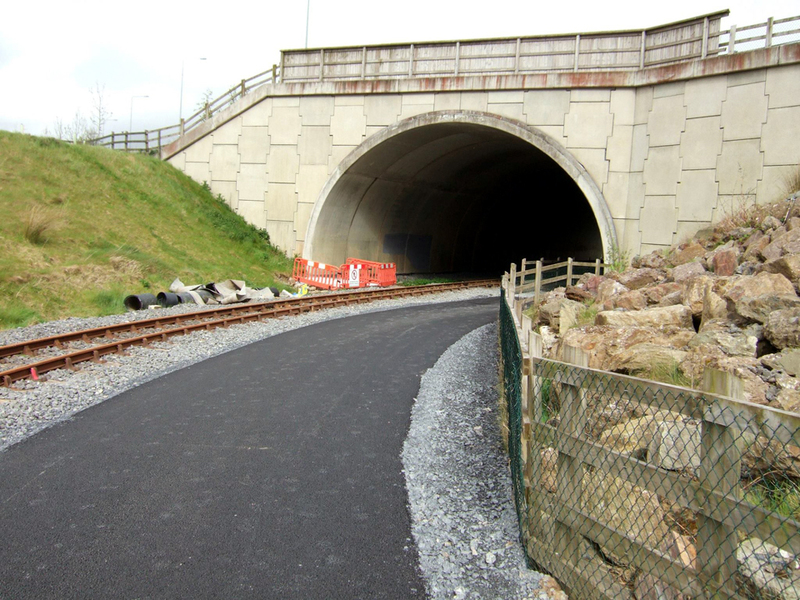 The next phase from Carriganore to Kilmeaden Station will take place at the end of the summer when the Waterford & Suir Valley Railway has finished for the season and work can then be completed on that section. The greenway is still closed to the public but we hope to get news this week when the surfaced section will be open for use. On the western end, the Council stated last week that they will be starting work on the Durrow to Clonea stretch this coming week.